Sweet Mango | Park View, D.C.
Sweet Mango Cafe, located at 3701 New Hampshire Ave. NW. The Sweet Mango saga that began on August 4th with a kitchen fire seems to finally be drawing to a close. 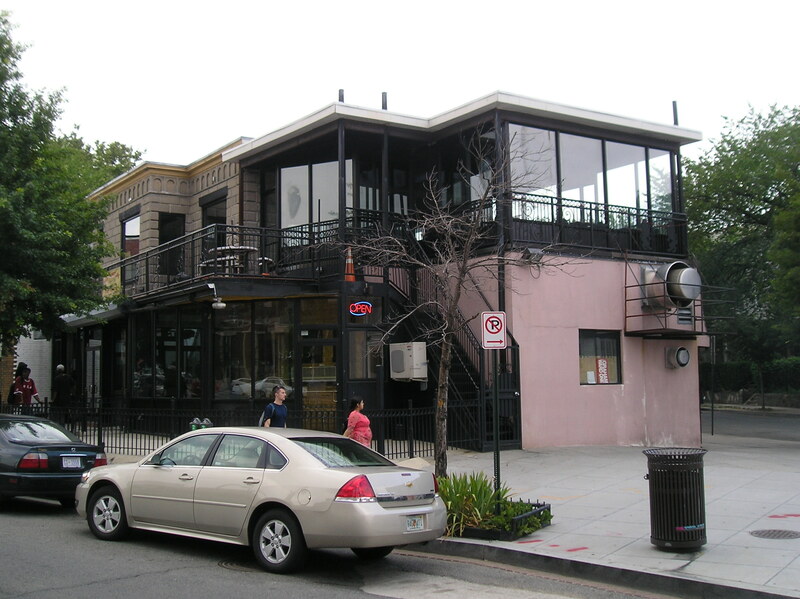 Upon the restaurant’s closure due to the fire, DCRA became involved and worked with Sweet Mango to ensure that recent construction was to code and permitted. Even after the restaurant’s November 28th reopening, there were still issues that needed to be address with ABRA regarding two violations of its Voluntary Agreement and failure to pay taxes in 2011. Disposition: The Government amended the Show Cause Notice for Case No. 12-AUD-00030 (Sweet Mango) to drop one charge. The Board accepted an Offer in Compromise: $10,000 to be paid within 60 days ($8,000 for Case No. 12-CMP-00010; $2,000 for Case No. 12-AUD-00030), 5-1 (Jones). While I agree that voluntary agreements need to be enforced once they have been entered into, I also feel that it is time to review the voluntary agreement in place for Sweet Mango. 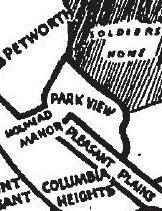 Their current VA is between Sweet Mango and ANC 4C, the Petworth Action Committee, and the United Neighborhood Commission. 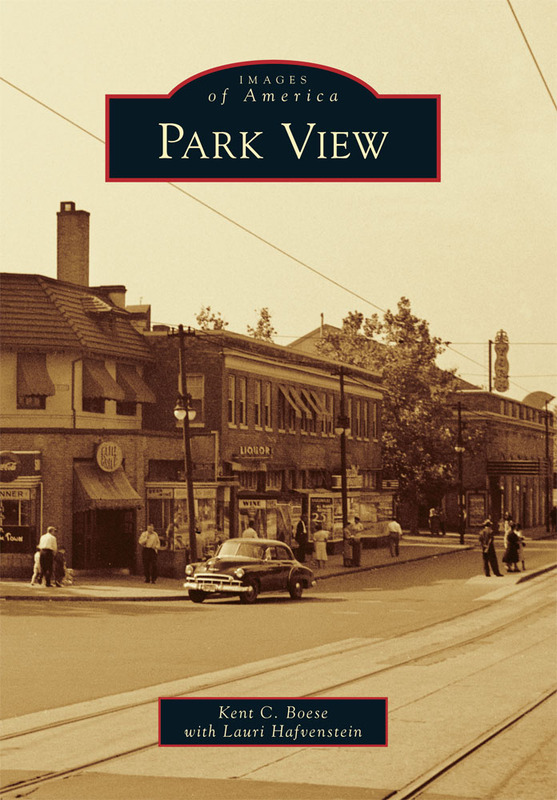 It dates to 2004 making it one of the earliest VA’s in the neighborhood — and I think it reflects its time. When comparing it to VA’s in place with other area businesses, such as Blue Banana, DC Reynolds, or Looking Glass, the one for Sweet Mango includes restrictions — such as a requirement for valet parking — that are neither in those for other Georgia Avenue businesses or all that relevant. In this instance, I think it’s time to meet with Sweet Mango’s owner, discuss the problem areas with the current VA, and incorporate appropriate changes that are in keeping with other local businesses. If you’ve been waiting for Sweet Mango to reopen it looks like you’ll have to wait a little bit longer. Due to resident concerns about unpermitted construction at Sweet Mango over the years, DCRA construction inspections supervisor Garret Whitescarver was in attendance at the monthly ANC 4C08 meeting hosted by Commissioner Timothy Jones. Renewed interest in construction and safety at Sweet Mango arose after the recent August 4th fire. The restaurant has been closed since that time. Based on what was learned at the meeting, it appears that Sweet Mango may be closed for a while longer. 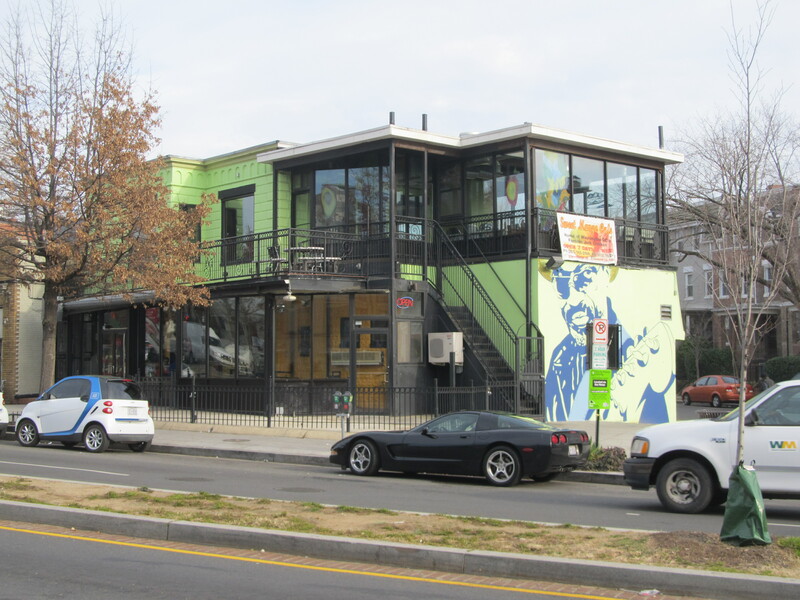 Before DCRA issues a certificate of occupancy for Sweet Mango they are reviewing all discernible work at the building and comparing it with known permits. The intent is to review unpermitted work, like that of the second story addition (enclosed in 2009), and make sure it is safe and meets current building codes. While its likely that most if not all of the work would have been allowable as a matter of right, that doesn’t negate the requirement of permits or inspections. Should anything not comply with current building codes, Sweet Mango will either have to remove it or go before the Board of Zoning Adjustment for a variance. The long and the short of it is that this may take a little time, and until the review, inspections, and permits are issued the restaurant will not get the occupancy permit required to reopen. Residents who live along Rock Creek Church Road, or at least walk it to get to the Metro, may have noticed that the fence at Sweet Mango was removed last week. In light of the duct fire at Sweet Mango that occurred on Saturday this event was definitely overshadowed — though not noticed. Well, guess what, that never happened. 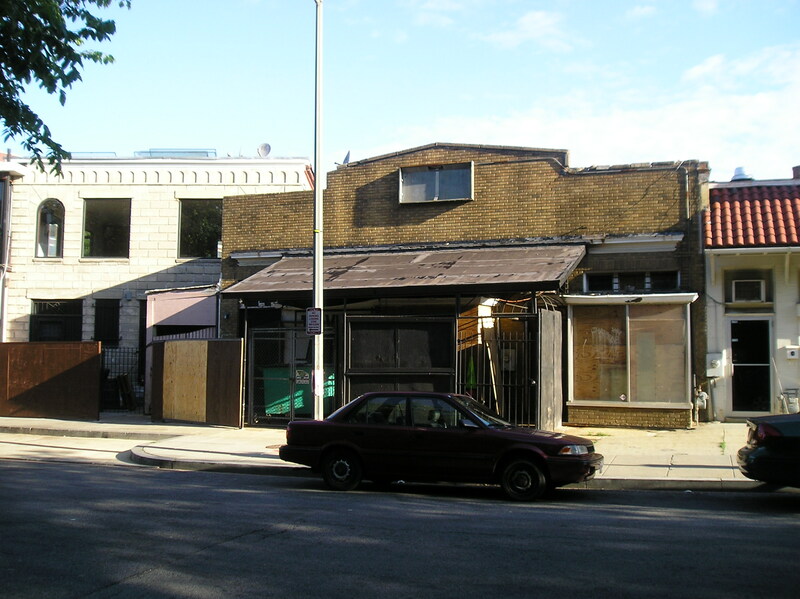 On May 10th [DDOT] investigated the site conditions at the rear of 3701 New Hampshire Avenue, NW. [Having] received community concerns that the existing sidewalk presented a condition that was so narrow as to obstruct people with disabilities from being able to traverse the sidewalk. … At the present time the sidewalk at the most narrow point is 40” wide, which is of adequate width to let one wheelchair pass. However, it does not meet the ADA and FHWA recommended minimum width of 4’. 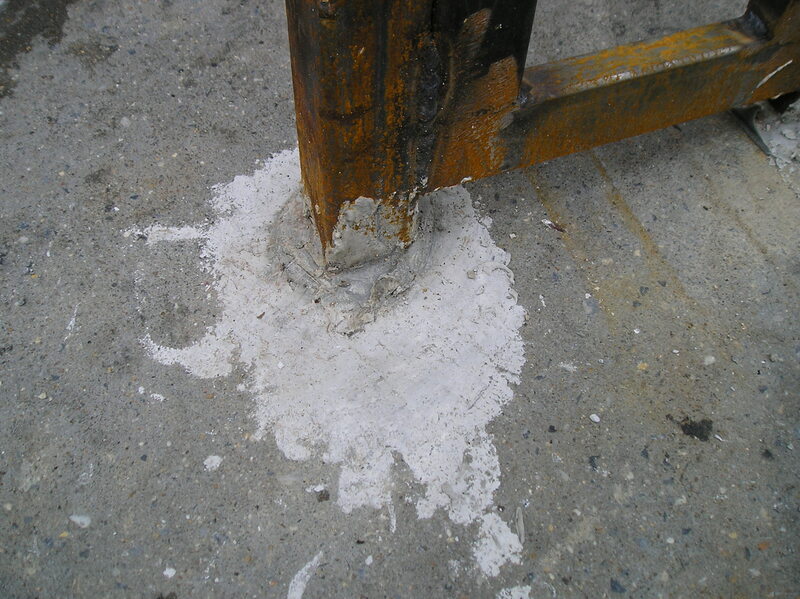 Under a more practical assessment, it is operationally too narrow and way below the DDOT minimum requirement of 6’. 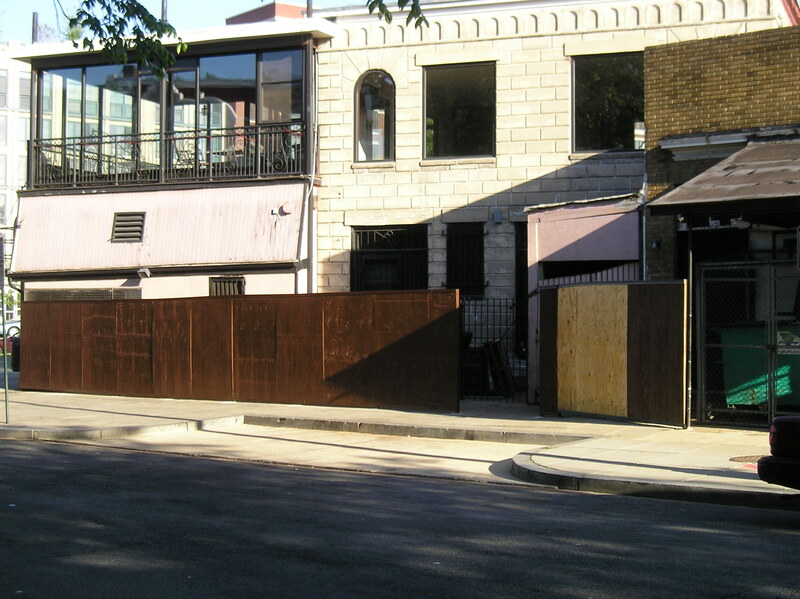 Upon further research we found that the owner of the restaurant, The Sweet Mango, came before the Public Space Committee on November 18th, 2010 for an over-height fence and it was DENIED. 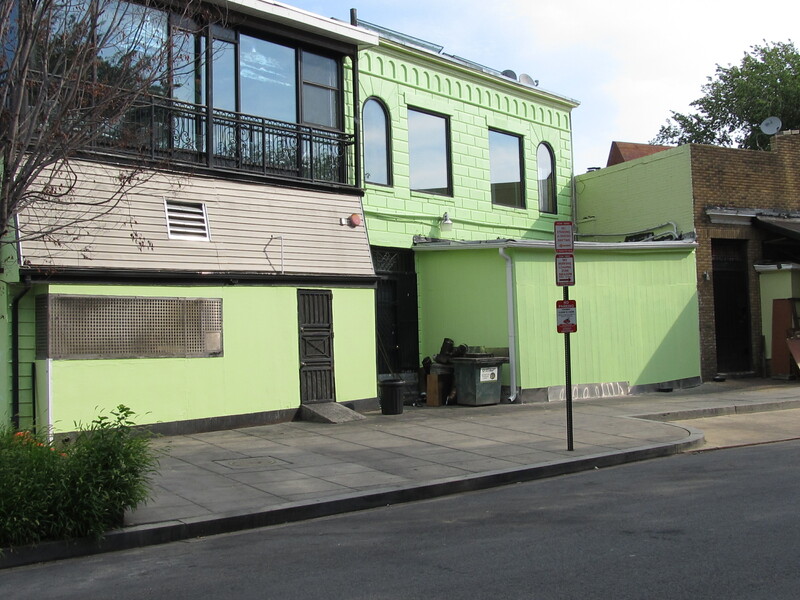 (3701 New Hampshire Avenue, NW – Application No. 56385). It appears that DCRA may have issued a permit, but this fence is located on public space and so it is not under the jurisdiction of DCRA. Accordingly, we are recommending that the fence be removed from public space and that the existing curb cut, which is now serving no useful function and technically has been abandoned, be removed and the curb returned to its original condition to serve as a separator from the main roadway. This is a great example of what can be accomplished by an active citizenry … and that some of our government agencies, in this case DDOT, really do listen to residents’ concerns. It was with much dismay that is saw that the fence along the Rock Creek Church Road side of Sweet Mango was allowed to be completed on Wednesday. 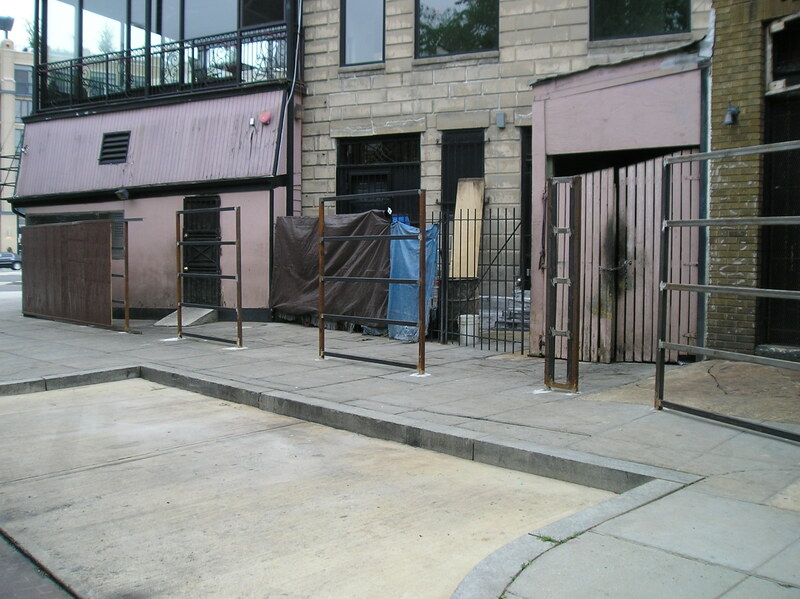 It was even more appalling to see that the stop work order issued by DCRA on May 12, 2010, had been replaced by a work permit for a fence along the back of the building. Upon digging into this issue, and after talking to a few neighbors, I understand that inspectors were at Sweet Mango again on May 20th. Sweet Mango was also able to obtain a permit for the fence, but I believe they also need to obtain a permit to use public space. Clearly, the book is not closed on this issue and I think concerned residents need to keep a watchful eye on this as details unfold. Based on how this business has operated in the past, I’d like to know if permits had been obtained for any of the construction that has occurred there over the past 10 years. New Construction at Sweet Mango? Wednesday, an impromptu wall began to rise on the Rock Creek Church Road frontage of Sweet Mango. After some investigation, I’ve learned that this construction was done without a permit and that a stop work order was issued. Is this something that is appropriate for this location? My general concerns would be that the sidewalk is already narrow at this location due to the loading area cut into the curb. Also, while I haven’t seen plans, would having a wall that is +/- six foot high create any safety issues at this location?